Insanity, noun: ‘the state of being seriously mentally ill; madness’. According to the Merriam-Webster Dictionary, the meaning of insanity can encompass any severe mental illness – but to label somebody as ‘insane’ is not a catch-all term. It is often thought that pop culture villains need no other motive than insanity, but in reality this could just be chalked up to lazy writing, attributing a range of violent and sadistic qualities to antagonists without any explanation or motive other than ‘they’re crazy’. Perhaps the most well-known offenders are the infamous Jack Nicholson in The Shining, and Freddy Krueger from A Nightmare on Elm Street. Psychosis in particular is often mashed together with psychopathy, creating negative portrayals that are incredibly unhelpful in addressing the real-world issues of mental health. This approach is outdated and potentially harmful to those who suffer from mental health conditions, and one that the video game Hellblade: Senua’s Sacrifice intends to debunk when it is released in 2017. Set in the 9th century CE, the Celtic protagonist Senua suffers from depression, post-traumatic stress disorder and psychosis after a Viking invasion leaves her world in ruins. The player is launched into her fractured perceptions of what is real and what is not, travelling through her mind in various levels of the game, which is rendered in a beautiful, impressionistic art style. Senua hears voices and experiences vivid hallucinations throughout the game – but as a History student, I couldn’t help but wonder how 21st century mental health research could be applied to the 9th century without ruining the immersion in the game. This was answered, however, by the developers’ effort to make a game that is both enjoyable and intelligent. Ninja Theory have teamed up with Cambridge University professor and psychologist Paul Fletcher and the Wellcome Trust to build up a more sensitive, rounded portrayal of psychosis. Anxiety and depression are often more widely publicised than manic symptoms, which can be frightening to people who have only seen the negative, violent portrayals in the media, and the game sheds more light on these ‘scary’ symptoms that are often discussed less. By no means is the game a lecture in psychology – the issues it deals with will be combined with what promises to be an engaging story and fun gameplay. Ninja Theory’s development manager said in an interview with WIRED that the team researched psychosis for over a year with those who suffer from it to understand how hallucinations manifest and how they perceive the world around them. Despite the game being set in a largely fantasy world, the developers are using the genre to break down barriers and allow the player to get a sense of the challenges that people with mental illness suffer on a daily basis. 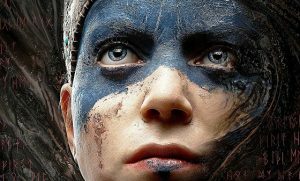 Iain Dodgeon, Creative Director at Ninja Theory, explained to WCCFtech that Senua is a compelling and complex character who allows for an innovative perspective on mental health. Add to that the bonus of being able to literally slay some inner demons, and you’ve got what looks to be a cracking addition to 2017’s stellar games lineup. 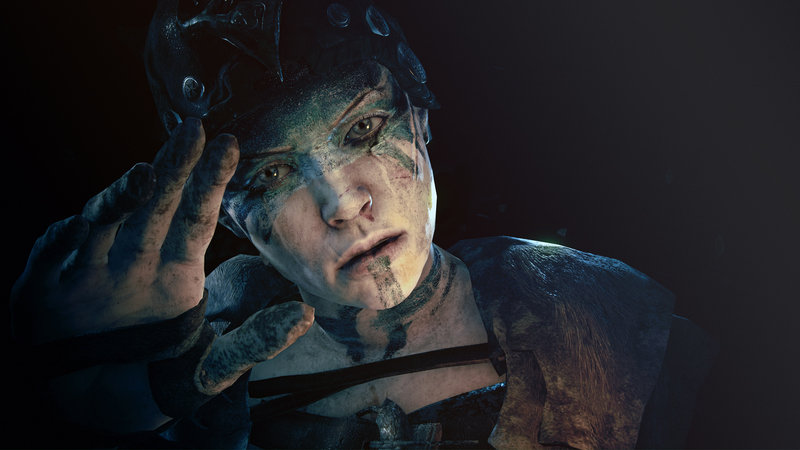 Watch the trailer for Hellblade: Senua’s Sacrifice below. This article is part of a series recognising Mental Health Week.